Varsity members Mason McCord and Tristen Baker both finished 8th, ran their best times all year, and qualified for Regionals. The Celeste Junior High, Junior Varsity and Varsity Cross Country Team ran at the district meet at North Hopkins on Monday, October 21st, 2013. Varsity members Mason McCord and Tristen Baker both finished 8th, ran their best times all year, and qualified for Regionals. 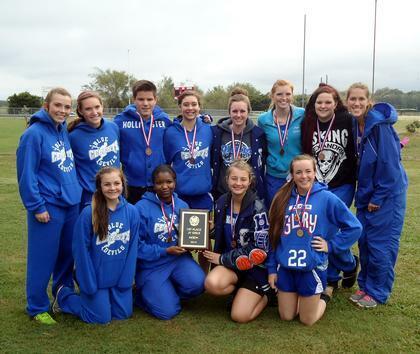 The JV girls team won 1st place overall in district, the junior high girls team won 4th place and the varsity girls won 5th place overall. The Regional meet will be on November 2nd in Humble, Texas.